A little saying my dear Mum used to say whenever I didn't want to wear pink! And surprisingly it's now my favourite color, so I was excited to have 'cupcake' as my challenge color from the Doodlebug palette. The second part of our challenge was to use a previously designed piece as inspiration. 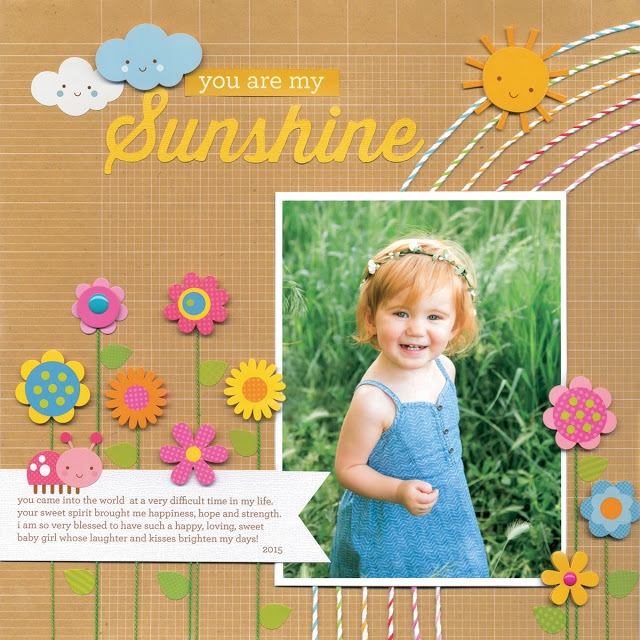 I chose this sweet layout from the incredibly talented Tonya Prawitt whose work you will continually see in the Doodlebug product catalogue... yep, she's amazing! 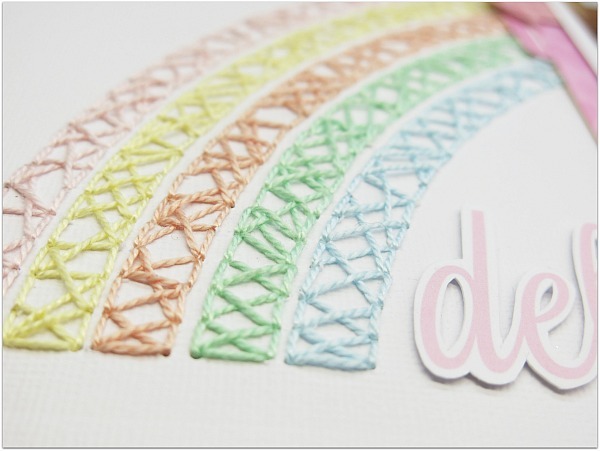 I loved the way she incorporated a twine rainbow into the background of her layout and seeing as I've been on a bit of a 'stitch-fest' lately I thought it was a great place to start. I'm really enjoying the crazy style of stitching because it doesn't matter if I'm neat or not as it's great for hiding little imperfections. I know my color for this challenge was pink but you can't have an all pink rainbow. However, I did keep the colors soft as I really wanted the rainbow to remain as a background feature. 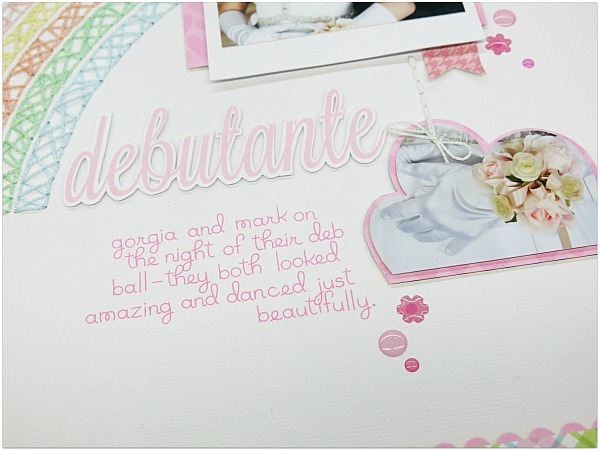 I continued with inspiration from Tonya's layout using the cloud design as a frame for my second photograph and I also added an italic heading. I even managed to sneak a few flowers into the layout to really use the most of Tonya's original design. The pink papers and embellishments are from the two gorgeous new collections 'Kitten Smitten' and 'Fun In The Sun'. This is just stunning Melinda!!! The stitching is gorgeous!! This is so pretty! Love the rainbow and the sprinkles!!! Always love the stitching on your layouts ... pretty!! So soft and dreamy! Gorgeous LO! Every detail is wonderfully done!